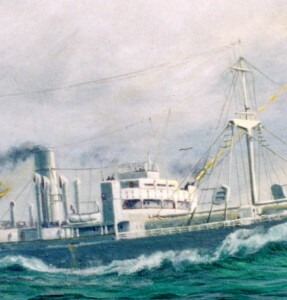 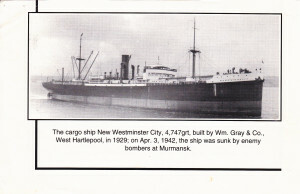 The original painting was commissioned by and for one of the former crew of New Westminster City. He and I worked closely to produce a scene he as an eye witness, was satisfied with. 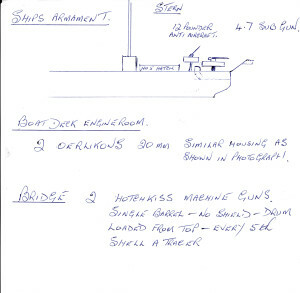 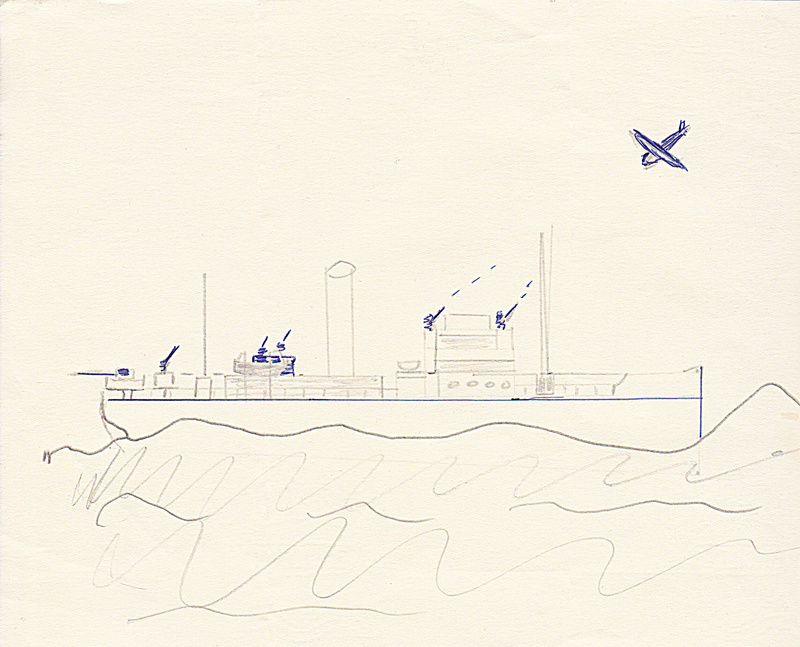 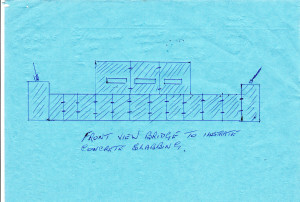 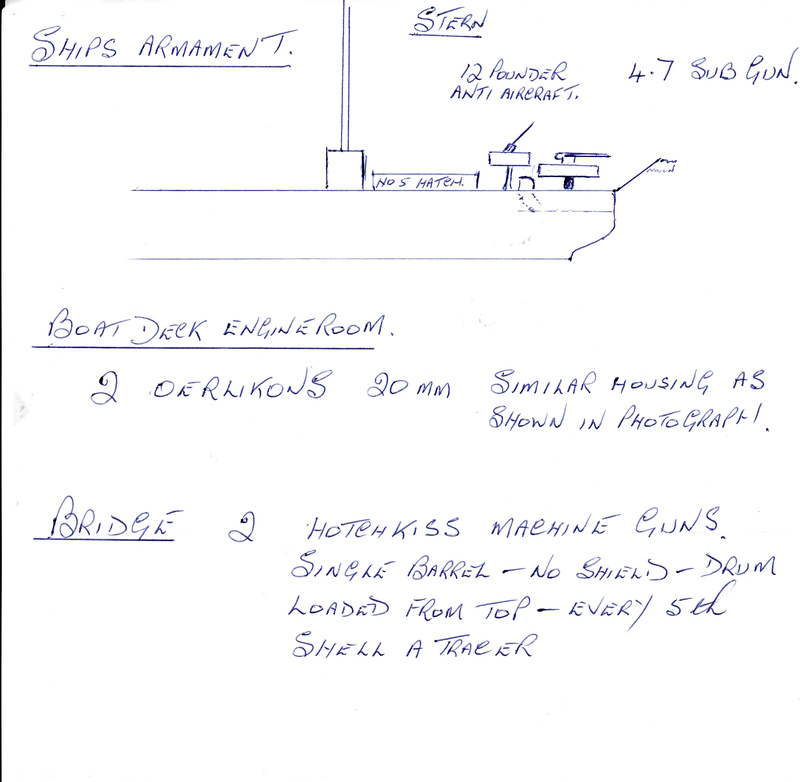 My client who fired at the attackers said he was “much to excited to hit anything“, was aboard “New Westminster City”. 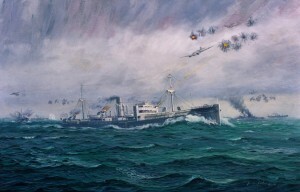 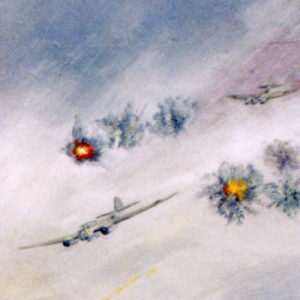 The ship illustrated in my painting here as PQ 13 is being attacked by JU 88s. 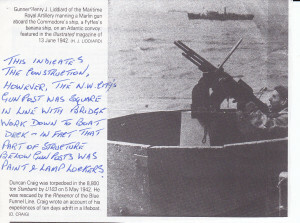 an 18 year old Harry Mills action station duty station was bridge port side wing heavy machine gun. 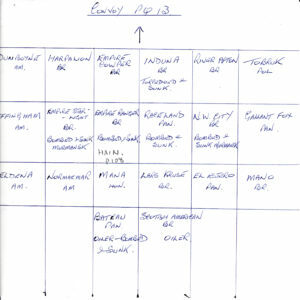 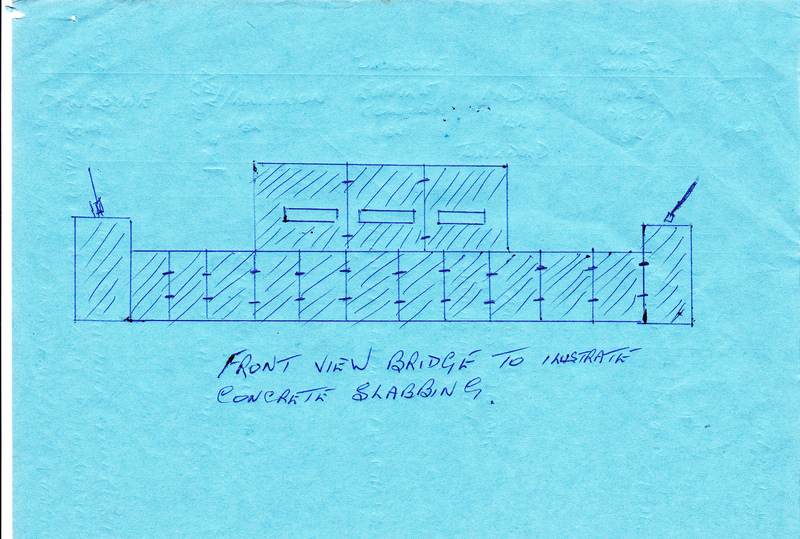 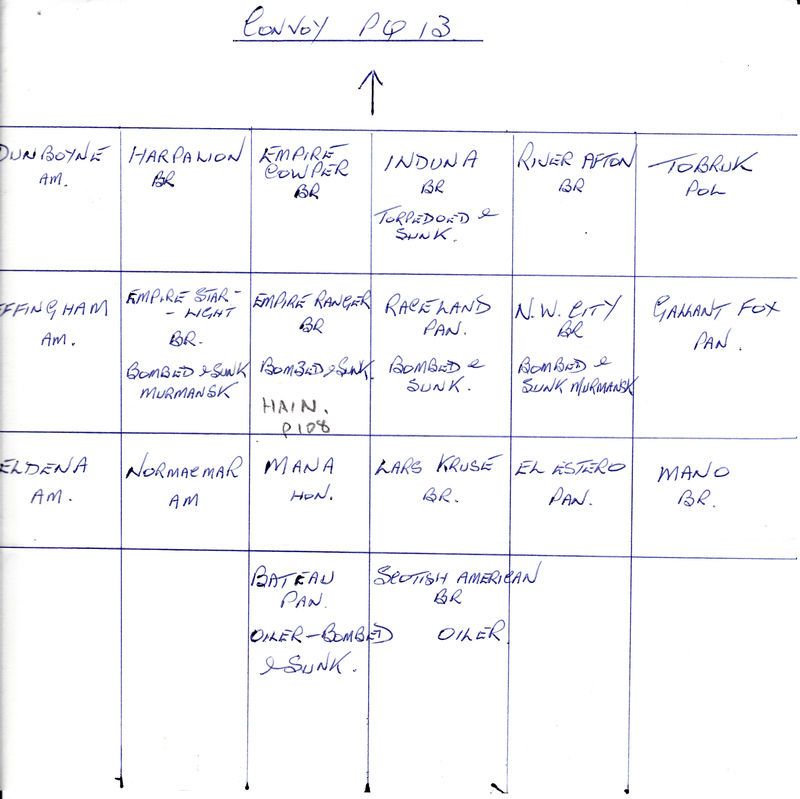 My efforts to produce the best most original painting I could include building and painting a scale model of a Ju 88. 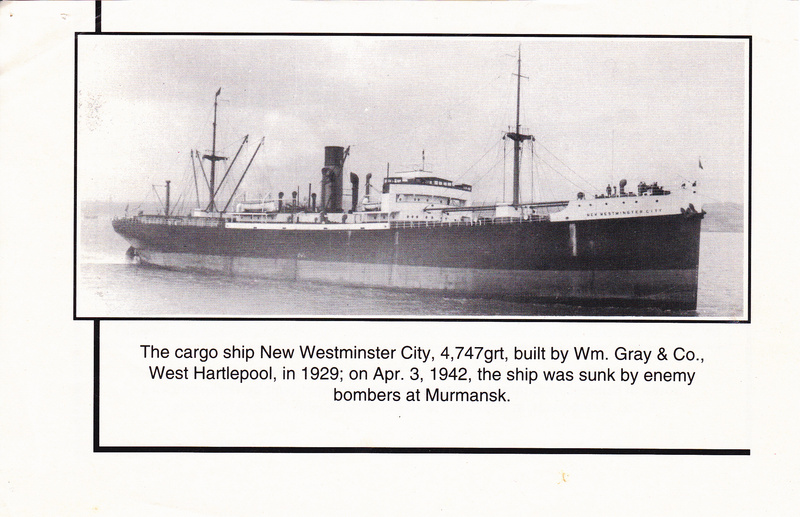 Two days later New Westminster City became another casualty of the battle to supply Russia and my client, now deceased, then aged 18, lost a leg. 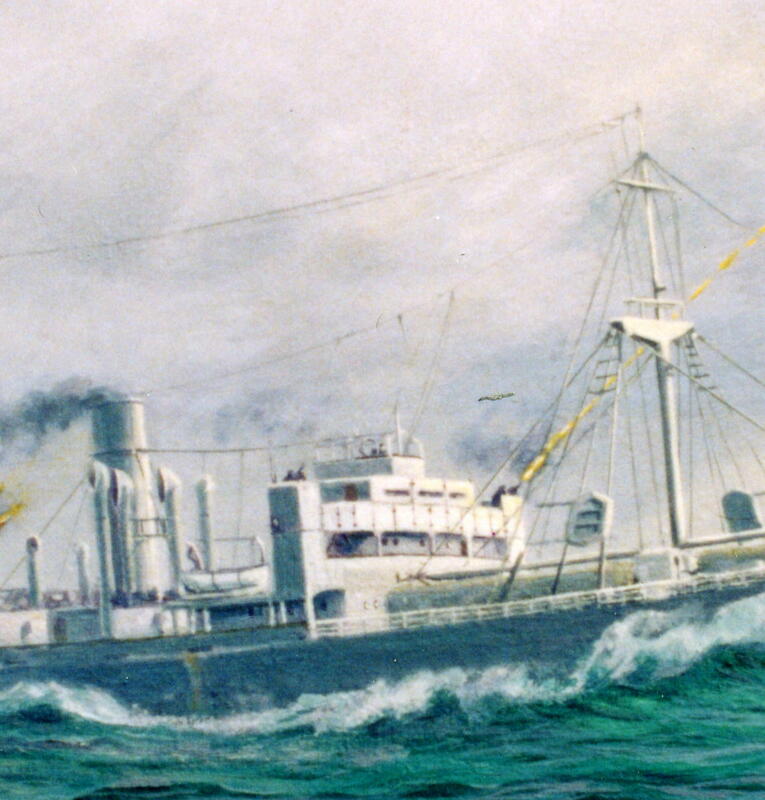 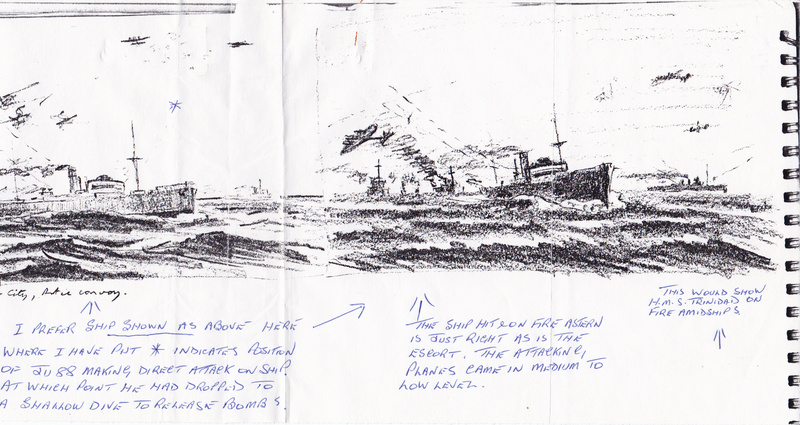 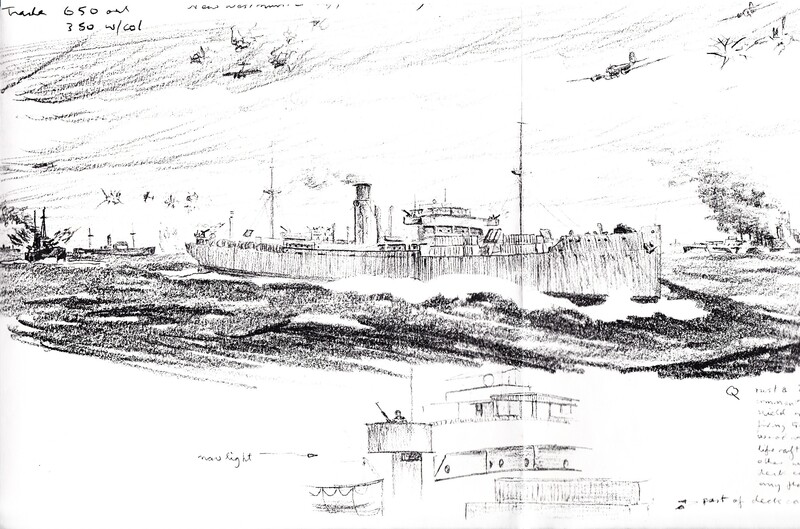 This is a relatively early period Gordon Frickers marine painting, none the less interesting, both as an early exampls of emerging talent and because it was composed from and with a survivor from the sunken “New Westminster City“. 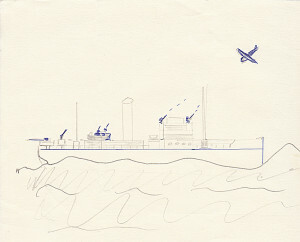 This very original painting was developed in part from ‘naive’ sketches provided by my client. 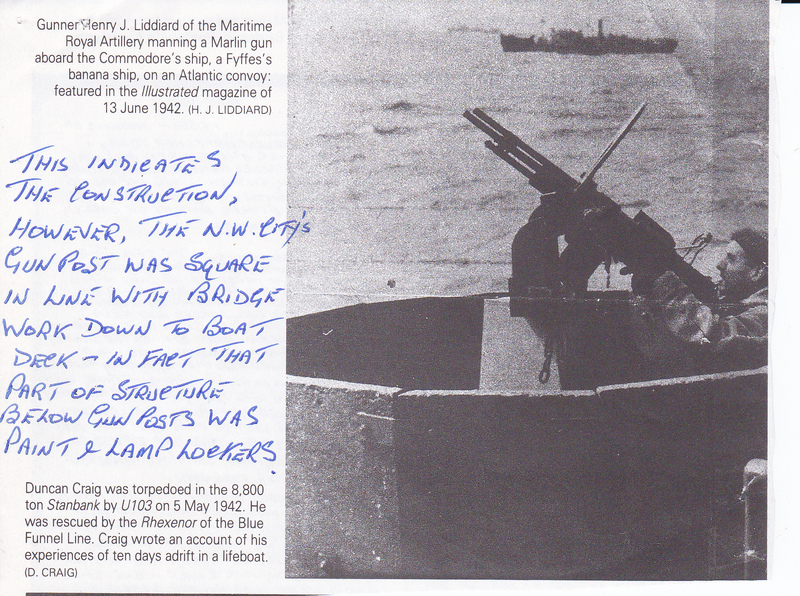 The cruiser HMS Edinburgh is part of the background. 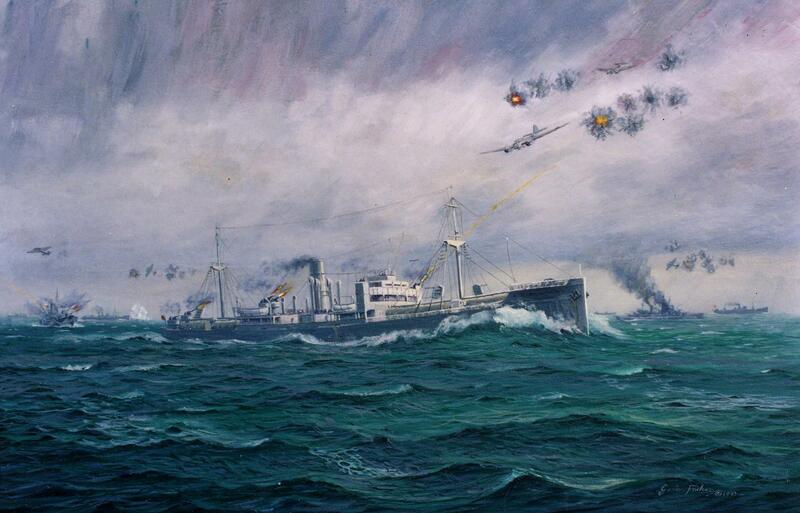 This was the first convoy to Murmansk to feel the full fury of German attacks on that route. 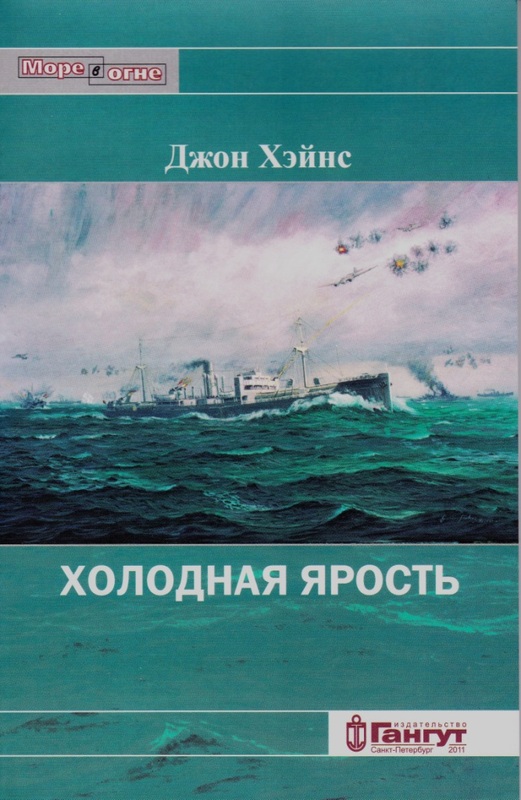 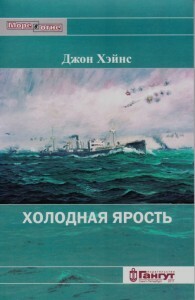 Captain Igor Kozyr asked me if he could use my PQ 13 painting, an early example of my art, produced for and with an eye witness, as the cover for the Russian version of the book (ISBN 9-785904-180379). 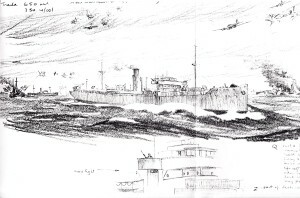 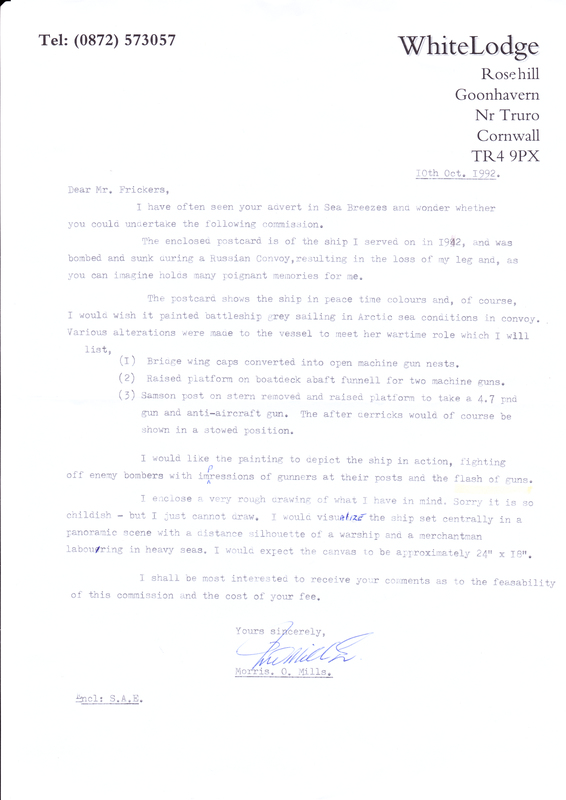 The convoy is also the subject of book, “The Ship That Torpedoed Herself”, HMS Edinburgh. 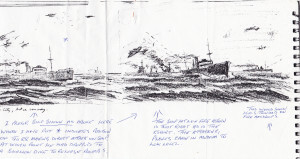 I still have but have not written up fully his and my remarkable original notes and sketches.